If exams are the battle then books are the tools and weapons that win you this war. You must have heard the phrase- “The pen is mightier than the sword” Well that is actually true if only you knew the best use of these weapons. A sharp knife is better than having a blunt Sword. Guys! You should always know that without gaining the knowledge, no one succeeds. A wise candidate always understands his strengths and weaknesses and even if he doesn’t know them yet, he works continuously to perfect himself. It does not matter which field you are working in, if you haven’t prepared for it, then you can’t possibly hope for acing your field. 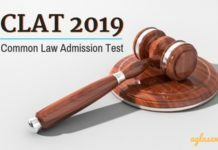 Here we have brought you Top 10 books to prepare you for CLAT 2019 and why you should read them. Candidates if you have these books in your store, nobody stop you from getting the marks you desire. So Get! Set! Go the books that we are mentioning are tried and tested by thousands of candidates. 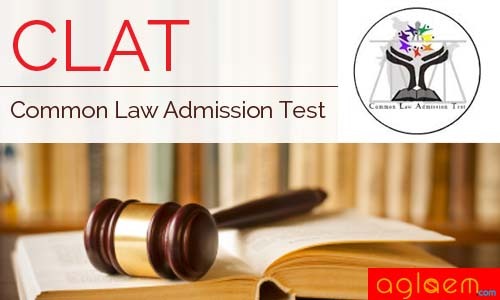 The book is considered to be the bible for those aspiring for CLAT. A lot of CLAT aspirants have provided their valuable reviews and have often indicated that this book contains everything you need to know about CLAT. so this is a must have book. Plus it has a list of good colleges where you can study law in India. It has more than 11,000 solved questions for your help. While from English section, you get around 40 marks questions ranging to test your proficiency in Vocabulary, comprehension passages, Grammar. Candidates will be required to demonstrate a clear understanding of the central theme covered in the passage, hidden meanings in them, locating grammatical errors etc. Word Power Made Easy prepares you by adding around 5000 words to your vocabulary. It is easy to understand. The books has some really helpful question papers that has been collected from various competitive examinations in india. This book is also taken to be an ideal book for those who are preparing for CLAT, IBPS, Bank PO exams, SSC CGL, LIC, UPSC, Railway recruitment exams, MAT, CET, CMAT, NTSE etc. 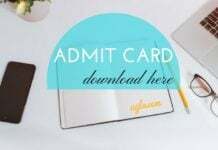 it comes with latest 10000 + revised question papers and their solutions. Now for General affairs that covers majority of the portion of the paper, we will advise that you take a look at the following books and pick the best according to your needs. From G.K, you get around 50 marks questions in CLAT to test a candidate’s General awareness including static general knowledge, one must read a rich source of book. A book which will not only you familiarize with the current events of national and international events but also presents an insight of all round development going around us. The monthly magazine is really a fantastic one. That i can say because i use it regularly. It has events in form of stories, toppers interviews, everything from what is going on new to what has been the history. You will get it in this magazine. It covers wide range of current affairs it also has an online version for your ease. The book contains several special articles on financial reforms, indian economy, current affairs, 25 years of economic references. It gains you insight of different facets of India in a different light, you will love the book as you read it. It contains several G.K related topics discussed in length plus there are 1000+ G.K. quizzes and articles by famous thinkers. The book is considered to be the best book for availing static General Knowledge as it covers wide range of subjects like- Indian Polity, History of India, Indian Economics, Geography, General Science, Environment and Miscellaneous. This one book that you must have if you are a CLAT aspirant. It contains current affairs as well as static G.K. Make sure that you buy the latest edition. There is no use of gaining stale knowledge. Stay updated with Pearson. If you like read previous 2 editions. This section tests candidate’s interest in studying law, research aptitude and problem solving ability. You may get questions involving legal propositions and a set of facts to which the set of propositions has to be applied and tested. Propositions may not be true in the real sense. You will just have to assume the truth of it and answer the question accordingly. 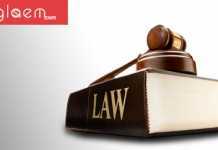 The book prepares the candidate in 4 essential disciplines- Legal Maxims, Constitutional Law, Criminal Law, and Civil Law and has been especially designed for CLAT aspirants. THis one book will provide you all round knowledge. If you have it there is no need to waste time on searching other books for legal aptitude. This section is perhaps the most tricky since you never know what particulars te of questions are asked in the paper form Logical Reasoning. Besides everyone has a different perspective of seeing things. Form this section, you will get 40 marks questions that will have questions ranging from identifying patterns, logical links and rectifying illogical arguments. You may get a variety of logical reasoning questions here such as syllogisms, analogies, logical sequences etc. This part covers verbal part of reasoning which is very crucial for CLAT aspirants. In today’s date, there is no other book that a candidate preparing for competitive exams would not recommend it. From this section, candidates have to attempt only around 20 marks worth questions from Mathematics that is taught upto 10th class. This is the No.1 book and the choice of CLAT aspirants for preparing for Elementary Mathematics. An ideal book suitable for preparing for CLAT, SSC, CBI, Railway Recruitment, IIFT, IGNOU, Bank PO, SBI-PO, RBI exam etc. Where to buy- Click Here.